My sister recently offered some Star Wars costumes for our children to borrow. They're quite awesome. However, our three year old (yes!) does not prefer to wear the Yoda mask. So...I made a simple Yoda ears "costume" from paper. I am well-aware these Yoda ears are huge compared to my little Yoda. 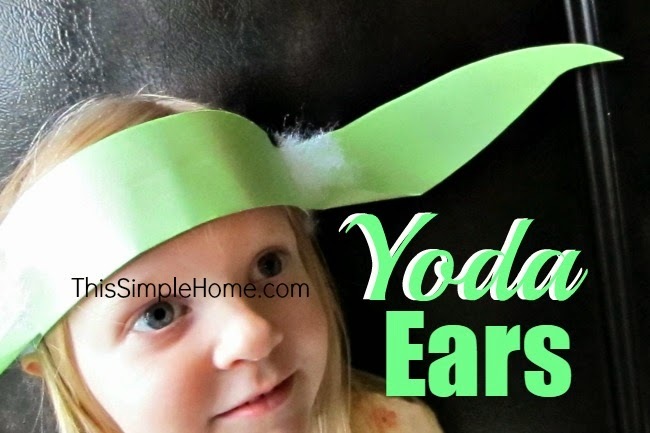 I will try to explain how to make the Yoda ears headband. You could even make them from felt for added cuteness and durability. 1. Cut two long pieces of green construction paper 4 inches wide. Fold them in half, making the main part of the headband. 2. Cut ears from a matching piece of construction paper. 3. Place a cut ear inside the fold of the band. Fold the bottom up a bit. Secure it with tape. 4. Add the other part of the headband to lengthen the band. Secure with tape. 5. Secure the headband at the top with tape above the ear. Now it looks like the ear is coming out of the headband. 6. For the second ear, cut a slit where you want the ear to be. Place ear inside, overlapping at least an inch. 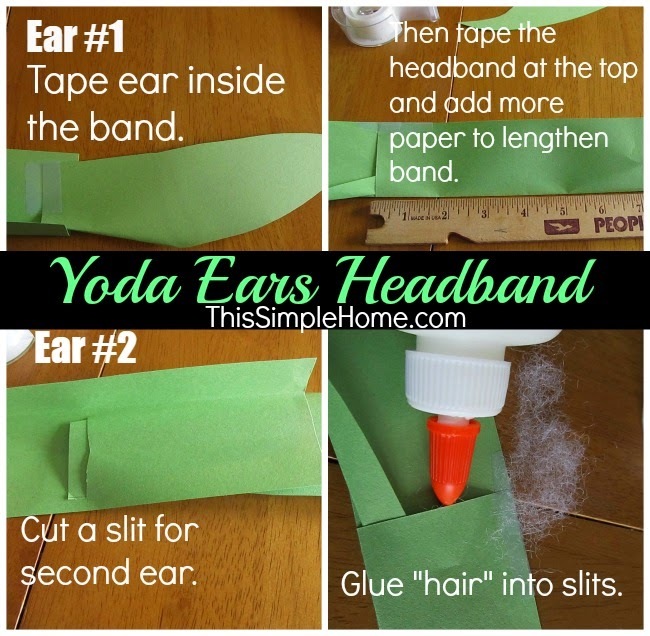 Secure the Yoda ear with tape. 8. Reinforce the inside of the headband with clear packaging tape, if desired. 9. Staple the band together to form a circular headband. 7. 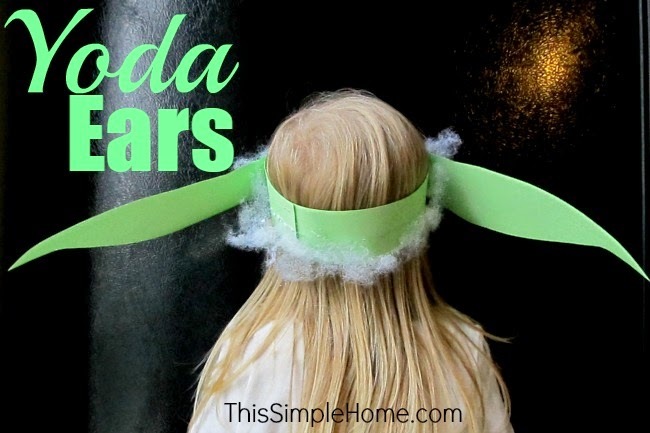 Use quilt batting (or loosened cotton balls) to place hair around Yoda's ears and head. (More than one stripe of glue is needed. I added more glue later. 8. Teach your child to talk like Yoda, if desired. Ha! Another option would be to draw wrinkles on Yoda's forehead. 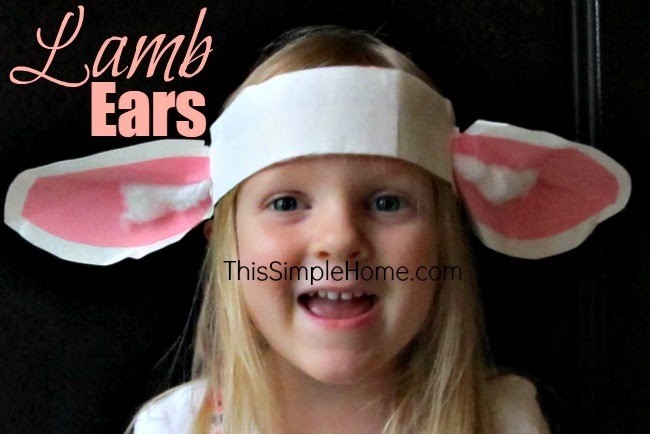 The Yoda ears were inspired by these adorable lamb ears. Little Sister brought them home from Community Bible Study and still wears them quite a bit. Aren't they some of the cutest ears you've ever seen? We thinks so! If you love Star Wars, be sure to check out my Star Wars peg people. They're quite cute. I also wrote about Star Wars-themed gifts that my husband and children have appreciated over the years. And if you need an old-fashioned costume, learn how to make felt braids. 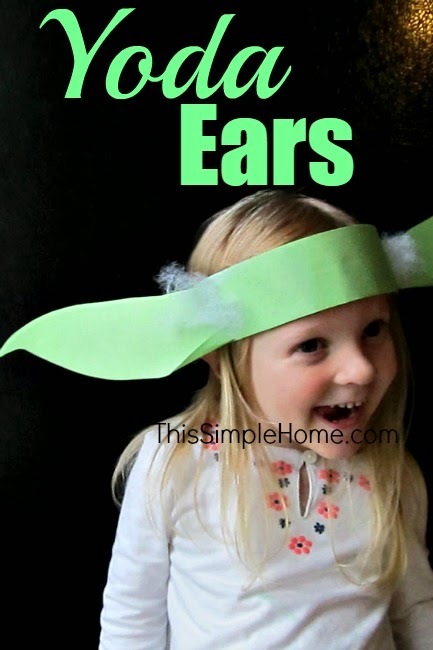 Great idea for ears - love the Yoda ones. So cute.